Students can earn a degree in Biochemistry either through the College of Agricultural Sciences and Natural Resources or the College of Arts and Sciences. The major courses are identical — the only difference is in the college distribution requirements and what "surrounds" the major. Agricultural Sciences and Natural Resources students take a Science Literacy course and one economics course (overlaps with ACE). Arts and Sciences students take additional writing, social science, humanities, and foreign language courses. Integrity is an important concept to ensure the academic credentials of biochemistry students are viewed positively by those who seek our students for employment and graduate/professional school admissions. The Department of Biochemistry has a policy that explains how it handles violations of academic integrity. Academic advising in Biochemistry is done by two full-time professional advisors. Students are assigned to an advisor according to the college through which the major is declared. Our advisors work closely with other teams on campus, such as Pre-Health advising, the Honors Program, and more. Advising is not just about course selection — it’s about goals, having an advocate, and getting the most out of college. 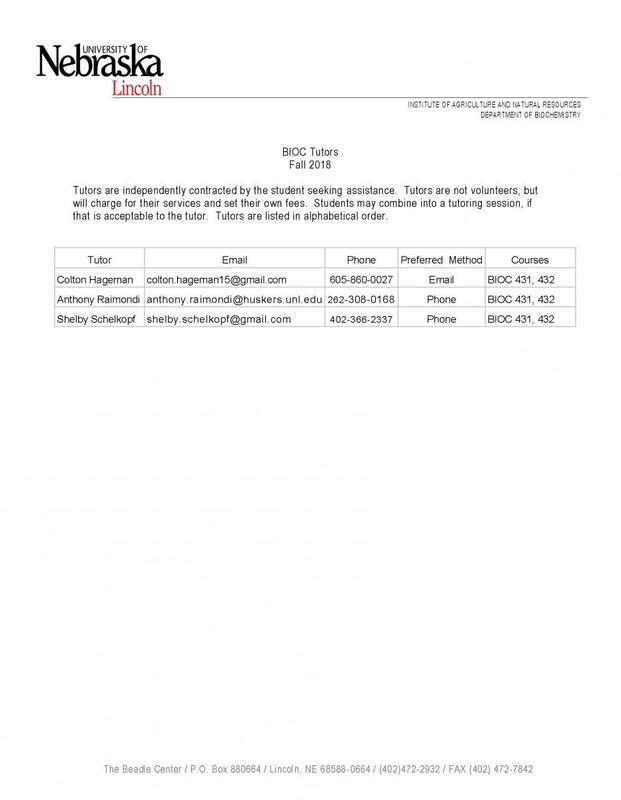 Your MyRed Student Center displays your advisor's name and contact information. Dr. Erin Sayer is an Assistant Professor of Practice for Biochemistry Education & Advising working with Arts and Sciences students and a subset of Agricultural Sciences and Natural Resources students. 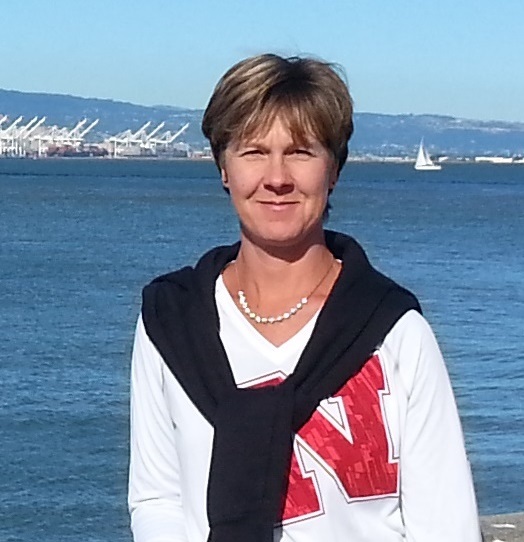 Dr. Sayer has been at the University of Nebraska-Lincoln since 2002. She spent over a decade as the Coordinator for Pre-Professional Advising and most recently was in the School of Biological Sciences before she joined Biochemistry. She lives about an hour from campus on a 160 acre “farm” of native Nebraska grasses and wildflowers, where she enjoys time outdoors with husband and young girls. Her interests in addition to student services include: Family, Cooking, Camping, and both Active and Passive Engagement in a wide variety of sports. Schedule an advising appointment directly with your adviser via MyPlan. Drop-ins are also welcome. Don't wait until the last minute! Please see your advisor at least once a semester. We are happy to see you more often! Plan to meet with your advisor at least two weeks before priority registration.